BBC NEWS | UK | Magazine | Is there any evidence mind-reading works? Is there any evidence mind-reading works? 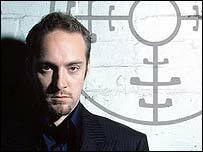 Illusionist Derren Brown survived a televised game of Russian Roulette, avoiding a bullet after claiming to have read the thoughts of the person who loaded the gun. There are now claims the whole thing was a hoax... but is there any scientific basis for mind-reading? Mind-reading is taken seriously by scientists. Not the mystical, extra-sensory perception (ESP) variety, but the study of the non-verbal signals that can say more about us than we consciously reveal. Signs like pupil dilation, emotional arousal and altered heart rate form the basis of lie-detector tests. Even unaided by machines, the best police interrogators can reportedly tell if someone is lying in 70% of cases. But how many people would put a gun to their head for a seven in 10 shot at survival? Brown does not claim extra-sensory powers, but says he used a series of psychological tests to determine where the bullet was. He asked his volunteer to count to six, using the sound of his voice to help locate the live chamber. In earlier shows, the illusionist correctly "guessed" a credit card number and the profession of someone just by looking at their hands. He also detected when a trader was lying. Experts say there is no way anyone could be so specific, or accurate. Professor Chris French, of London's Goldsmith's college - a specialist in investigating paranormal beliefs and "experiences" - says mind-reading is the stuff of fantasy. "If Derren Brown really has successfully developed techniques to discern the contents of people's minds in the way that he claims, he has single-handedly achieved more than the collective attempts of psychologists over many decades." He says the stunt may have more in common with the "cold reading" techniques typically associated with psychics and mediums. Here, subjects are convinced that someone has told them so much detail about their life, that they could only be reading their mind - or receiving messages from loved ones in the "afterlife". But much of this rests on leading statements that sound specific, but are really general such as, "You have a better than average sense of humour" or "I sense lots of unused potential". "Sitters tend to fill in the blanks themselves, but come away feeling they have been given real revelations. We call it the Barnum effect [after the circus impresario]," adds Prof French. But there is significant research into mind-reading - especially the psychology of lying - because of its great practical implications. Last year, Nasa bosses issued an astonishing denial to reports suggesting they were introducing mind-reading machines to catch terrorists at airports. "Nasa does not have the capability to read minds, nor are we suggesting that would be done," said Robert Pearce, head of Nasa's Strategy and Analysis Division. But it added: "Our scientists were asked to think outside the box with regards to ideas that could aid the nation in the war on terrorism and that's what they are doing. "We have not approved any research in this area and because of the sensitivity of such research, we will seek independent review before we do." Most experts say it is beyond current scientific knowledge to consistently and reliably spot a lie, let alone read someone's innermost thoughts from behavioural clues. One man who should know is Richard Wiseman, of the University of Hertfordshire, Britain's first professor of the public understanding of psychology. Professor Wiseman started his working life as an award-winning professional magician and was one of the youngest members of The Magic Circle. "Make no mistake, Derren Brown is a conjuror. He is using the idea of mind-reading to mask his trick. "You don't not want to run the risk of blowing your brains out in your act - you need certainty. There is no certainty in mind-reading."